A park with great diversity in wildlife and habitats, due to the variety of landforms surrounding it and within it. Nature viewing opportunities range from lichen and fungi, to bears and moose. BC Parks notes that Wells Gray contains over 700 species of vascular plants, over 200 species of mushrooms, 56 species of mammals and 219 species of birds. Geographical Description Extinct volcanoes, lava beds, mineral springs, glaciers, waterfalls. 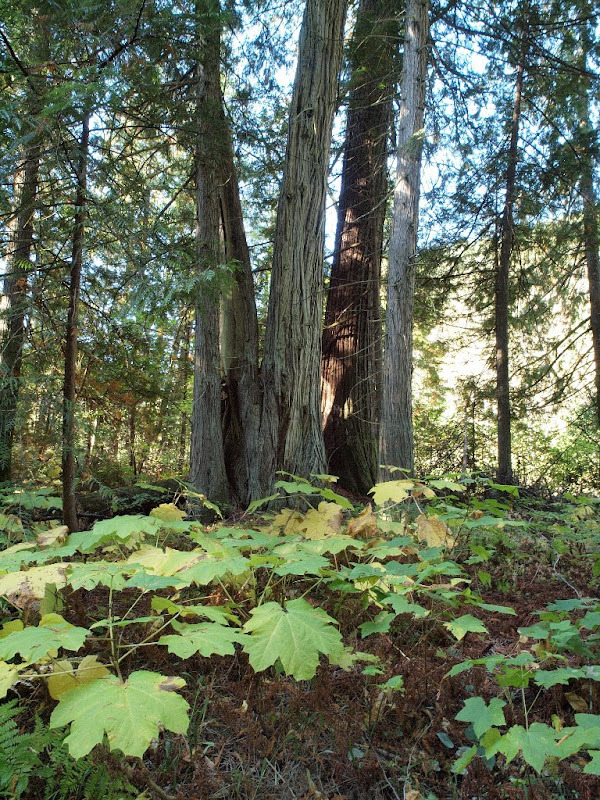 Forests characterized by Douglas-fir, western red-cedar and hemlock. Area/ Trail Length Total park area approximately 540,000 ha, most of which is inaccessible wilderness. 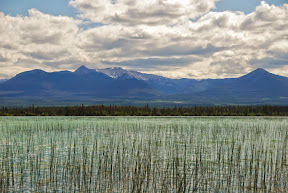 This entry focuses on the corridor area between Highway Lake and Clearwater Lake, a long (approximately 75 km long) and narrow finger pointing south from the main part of the park. Habitat Interior Cedar/Hemlock, subalpine forest, alpine meadows. Other Features Lava beds, mineral springs, waterfalls, lichens, fungi. Main Access Main access to Wells Gray Park is via the Clearwater Valley Road. Park entrance is at Spahats Creek, 9.6 km north of the roundabout at Highway 5 (the Yellowhead Highway). The road is paved for the first 30 km and good gravel the rest of the way. Bailey's Chute southern end of Wells Gray Park along east side of Clearwater River. Ray Farm east of road corridor in the southern end of Wells Gray Park. Green Mountain drive up gravel road west of entrance to Wells Gray Park. Cautions Spawning salmon are sensitive to disturbance. Be aware of bears and cougars. There is no mobile phone service outside of Clearwater. Facilities Interpretive displays at the park entrance and the information centre in Clearwater. Trail system; three roadside campgrounds and several backcountry and boat-access campgrounds; outdoor toilets. Green Mountain - parking lot; viewing tower. Other Recreational Activities Hiking ,fishing, boating. FMI "Nature Wells Gray" by Trevor Howard & Cathie Hickson, published by The Friends of Wells Gray Park, 1989; second edition 1995 by Lone Pine Publishing. This park serves as a cultural icon to the Simpcw First Nations. The viewing platform allows for users to be able to enjoy the salmon run in late August and early September of each year. During the third week of August, the Simpcw First Nations in partnership with the Municipality, the Community Resource Centre, and the Department of Fisheries and Oceans, hosts a “First Fish Ceremony”. Geographical Description Viewing platform along the Raft River upstream of where the Raft joins the North Thompson River. Area/ Trail Length Parking area; viewing platform has picnic tables and interpretive signage. Other Features School program is run in September for the schools in the area to learn about the Simpcw First Nations and their culture and history. Main Access South off Highway 5 just east of bridge over the Raft River, 5.4 km east of the roundabout in Clearwater, beside Fisheries and Oceans Canada office. Facilities Viewing platform and picnic tables. Geographical Description Trails in the floodplain of the Adams River and along spawning channels. Area/ Trail Length 26 km trails; Park is 1076 ha on 11 km of river. 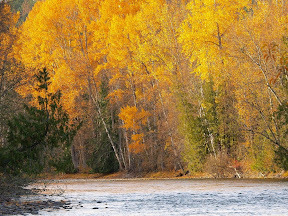 Floodplain of the river contains cottonwood, birch, alder, Ponderosa pine, hemlock and cedar. Viewing Highlights October: Sockeye salmon run. Dominant run every four years with subdominant run following year. Other Features Kekulis, artefacts and pictographs - cultural heritage of the Secwepemc peoples - can be seen in the area and are strictly protected. Cabin with interpretive displays is new in 2017. Cautions Keep all dogs out of the water. Facilities Wharf, walkways and viewing platforms. Outhouses and picnic tables. Basic services in Squilax and Sorrento; all services at Chase and Salmon Arm. Other Recreational Activities Hiking, biking, rafting, kayaking; cross-country skiing and snowshoeing in winter. 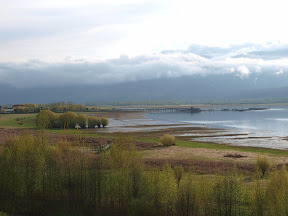 A marsh and foreshore viewing area in the heart of downtown Salmon Arm, with nature walking trails around the shore of Shuswap Lake. Geographical Description Interior Douglas-fir biogeoclimatic zone. Area/ Trail Length 4 km of trail along the wharf and shoreline. Main Access North on Marine Park Drive from Lakeshore Drive across the railway tracks, then right onto Harbourfront Drive to end of road. Cautions Western Grebe nesting area is off-limits to all boaters from April to September. Jurisdiction A mixture of private land, land owned by the Nature Trust of BC, and First Nations. Other Recreational Activities Boating; boat rentals at Salmon Arm wharf. Grasslands and sagebrush, with small ponds and the Thompson River providing habitat for waterfowl and other species. Accessible viewing opportunities for swans, eagles, osprey and waterfowl along river. Geographical Description Parallel to the Trans Canada Highway from Chase to Kamloops. Habitat Ponderosa Pine/ Bunchgrass biogeoclimatic zone. Other Features Silt cliffs along the South Thompson River. Main Access For Pritchard Provincial Park, cross the river on Pinantan Road, 10 km east on Highway 1 from the interchange with Highway 97 at Monte Creek or 17 km west of the PetroCanada in Chase. On the north side of the river, the park extends about 2.5 km along the bank in either direction. If the railway tracks are clear, the park can also be viewed from the south side of the highway but parking along edge of the highway is necessary. DO NOT cross the tracks except at controlled crossings. Secondary Accesses Several small undeveloped parks along the south side of the river; wildlife can also be viewed along Kamloops-Shuswap Road on the north side. Jurisdiction Crown land at Pritchard Provincial Park. 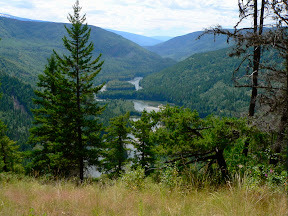 Private land holdings along South Thompson River. Municipal Parkland - Riverside parks and others along the South Thompson River. Facilities Parking pullouts along highway. No facilities at Pritchard Provincial Park. Other Recreational Activities Canoeing at Pritchard Provincial Park. Kamloops Riverside Park is a multi-facility park. Wildlife viewing of swans is best in winter. Flood plain of the Thompson River; regular flooding has created a lush wetland in an arid sagebrush/ grassland ecosystem. Area/ Trail Length 254 hectares. Rare species present include Tall beggarticks (Bidens sp), Awned Cyperus (flatsedge), Small-flowered Ipomopsis. Main Access North side of Kamloops Lake; access from Tranquille Road, 6 km west of entrance to the Kamloops airport. Cautions Western rattlesnakes April-September . Limited to no mobile phone service in this area. Jurisdiction Tranquille Ecological Reserve; Tranquille Wildlife Management Area. Facilities Viewing pullout . No services. Very dry south-facing slope with rolling topography, exposed rock outcrops and some flatter benchlands. Vegetation ranges from sagebrush/grassland at lower elevations to open Ponderosa pine and Douglas-fir forests at higher elevations. Noted for Bighorn Sheep, Mule Deer, Dusky Grouse. Provides critical habitat for a number of species at risk including Great Basin Spadefoot Toad. Geographical Description 25 km WNW of Kamloops on the north shore of Kamloops Lake, on the western edge of Lac du Bois Grasslands Protected Area. Area/ Trail Length 5747 hectares. Main Access North side of Kamloops Lake; access from Tranquille Road, 14 km west of entrance to the Kamloops airport. Jurisdiction Wildlife Management Area/ Crown land. Facilities None. All services in Kamloops. Other Recreational Activities Hiking, mountain biking. 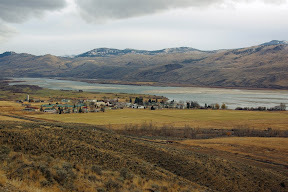 Rises through three grassland communities above the hot, dry Thompson River valley to the forested hills above. An area of notable diversity containing a mixture of grassland and forest types, as well as complex geology resulting in landscapes of open grasslands, cliffs, canyons and basins with small lakes and ponds. Geographical Description Northwest of Kamloops. Area/ Trail Length 15,712 hectares. Habitat Ponderosa Pine/ Bunchgrass/interior Douglas-fir. Other Features Grassland vistas and spectacular cliffs and canyons. Species at risk include Sharp-tailed Grouse, Long-billed Curlew, Burrowing Owl and Western Rattlesnake. Flammulated Owl is considered a provincially sensitive species. Main Access Gravel roads northwest of Kamloops. North from Sixth Street and Halston Avenue, bear west on Batchelor Hills Drive which turns into Lac du Bois Road. Secondary Accesses West on Tranquille Road past Tranquille Wildlife Management Area . Watch for logging trucks on backroads. Jurisdiction Mostly Crown land; some parcels of private land. Nature Conservancy of Canada owns 948 ha. ; this land is considered private. Regulations Permits and/or authorizations are required to carry out many activities. Facilities No viewing platforms but many excellent opportunities, including the ponds and wetlands of the grasslands for waterfowl and other wetland wildlife, and the Dewdrop cliffs for California bighorn sheep and Mule Deer. Camping at Watching Creek campground on Red Lake Road. 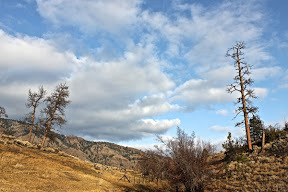 This is a remote area with no services; all services in Kamloops. Other Recreational Activities Hiking, cycling, fishing. Other Connections Connected withTranquille and Dewdrop-Rousseau Wildlife Management Area. An easily accessible park with an extensive network of nature trails for hiking or cycling. The park gives panoramic views of the city, the Thompson Valley, Kamloops Lake and the convergence of the North and South Thompson Rivers. Area/ Trail Length Just under 800 hectares of Mount Dufferin in Kamloops. sagebrush, prickly pear cactus, and bluebunch wheatgrass. Other Features Spectacular views of the City of Kamloops. Cautions Trails may close during the spring snow melt to prevent compaction and erosion. The park may close during extreme fire hazard risk. Trails remain open in the winter but are not cleared of snow, hikers must wear appropriate footwear. There is no water in the Park. Regulations Stay on designated trails. The park is designated as dog-friendly. Facilities Approximately 40 km of trails suitable for hiking or mountain biking. Other Recreational Activities Hiking, cycling. 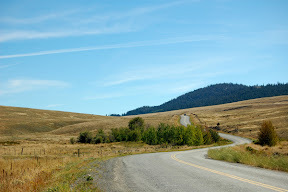 A scenic drive which winds past lakes, open grasslands, and vistas of hills with Ponderosa pine and Douglas-fir. One of the best areas in the province to view birds of prey such as Red-tailed and Rough-legged Hawks, Short-eared Owl and Northern Harrier. 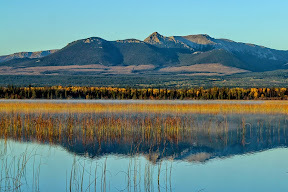 The wildlife viewing pullout at Beaver Ranch (Guichon) Flats east of Nicola Lake is an excellent spot to view numerous breeding waterfowl and other wetland species. Geographical Description Highway 5A between Kamloops and Merritt. Area/ Trail Length Approximately 97 km road distance from Merritt to Kamloops along Highway 5A. Habitat Ponderosa Pine/ Bunchgrass, marsh, riparian, lakes. Peregrine Falcons are regularly seen in Spring and Summer along cliffs bordering Nicola Lake and occasionally breed here. 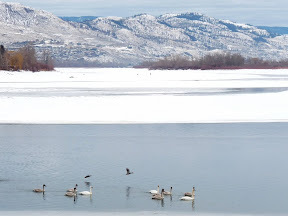 Wildlife viewing at marsh wetlands pull-offs at Beaver Ranch Flats and Nicola Lake rest area. Main Access Access Highway 5A from either Merritt (Exit 290) or Kamloops (Exit 368, Hillside Way). Paved highway. Cautions Parking along edge of highway is restricted in some areas; give adequate clearance for truck traffic to pass by. Jurisdiction Crown Land with many private holdings. Beaver Ranch Flats (formerly Guichon Ranch) is a private property managed by Ducks Unlimited. Monck Provincial Park is on the western shore of Nicola Lake, 22 km north of Merritt, 12 km off Hwy 5A via narrow paved road. 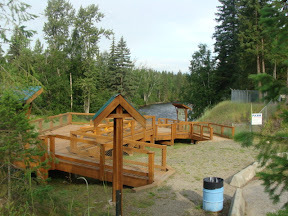 Facilities Campground, interpretive trails at Monck Provincial Park. Pulloff at west end of Nicola Lake with boat launch and interpretive signage. Wildlife viewing area at Beaver Ranch Flats on the Guichon Ranch. Several pulloffs along highway between Nicola and Stump Lake. Other Recreational Activities Swimming and fishing on several lakes en route. FMI Murphy Shewchuk, Coquihalla Trips and Trails, revised edition published by Fitzhenry and Whiteside, 2007. A drive through the famous Douglas Lake Ranch. Crosses mostly private land with excellent potential bird-watching opportunities. Geographical Description Optional route off Highway 5A along the Douglas Lake Ranch Road, accessed at Nicola Lake. At Westwold on Highway 97 there is a choice to proceed left (north) to Highway 1 or right (south) to the Okanagan. 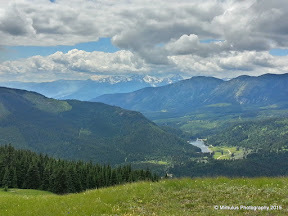 Area/ Trail Length Approximately 160 km from Merritt to Monte Creek or Vernon via Douglas Lake. Habitat Interior Douglas-fir/Montane Spruce, bunchgrass, riparian. March – April; September – October: migrating Sandhill Cranes; occasional American White Pelican on lakes. Other Features Grassland vistas, historic ranches. Main Access Douglas Lake Road is accessed off Highway 5A, 4.8 km north of the hamlet of Quilchena near the east end of Nicola Lake. West end of Douglas Lake is 18 km from the highway. Or from Highway 97 between Monte Lake and Westwold . 40 km to Chapperon Lake, 56 to east end of Douglas Lake. Road is part paved, part gravel. Secondary Accesses During summer the Douglas Lake Road can be accessed via Pennask Lake Road (off Highway 5A near Quilchena) and then north on Minnie Lake Road. Enquire locally on road conditions. Cautions Few roadside stops; most places must stay on roads. This is a remote area with no services; minimal services at Quilchena or Westwold, all services at Merritt, Kamloops or Vernon. Jurisdiction Mostly private ranchland and First Nations Reserves with some crown land. Facilities Camping and accommodation at Douglas Lake Ranch. Opportunities to view Rocky Mountain Bighorn Sheep, plus other diverse wildlife and wildflowers in various habitats and microclimatic zones from bunchgrass to subalpine. Geographical Description Fraser-Thompson valleys and interior plateau. Other Features Vistas of the Pavilion Mountain Range. Main Access North of Lytton off Highway 12; turn right on Botanie Creek Road just after crossing the Thompson River. Botanie Lake is 17 km from the turnoff. For travel beyond the junction north of the lake, enquire locally for directions and conditions. Cautions This is a remote area with no mobile phone service. Please stay near the road unless given permission from local landowners. Facilities Recreation Site campground south of Botanie Lake . Herds of Bighorn Sheep; salmon viewing. Geographical Description Along the Trans Canada Highway at and near Spences Bridge. Other Features Vistas of the Thompson River Canyon. Main Access Along the Trans Canada Highway just southwest of Spence's Bridge. Cautions Proper pullout areas are needed along the highway so viewers must take due caution. Facilities None. Campgrounds at Goldpan and Skihist Provincial Parks, 9.3 and 28 km south; basic services at Lytton 35 km, all services at Cache Creek 49 km north. Other Recreational Activities Fishing; Spences Bridge is known for steelhead fishing in the fall. Spectacular canyon scenery; mountain goats and bighorn sheep on the cliffs along the highway. Geographical Description Viewing opportunities along the Trans Canada Highway. Other Features Spectacular canyon scenery. Main Access Skihist Provincial Park on Highway 1, 5.9 km north of north access to Lytton or 27.6 km south of Highway 8 junction at Spences Bridge . Campground on south side of highway, day use area on north side. Cautions Limited stops along the highway. Facilities Skihist Provincial Park has camping, toilets, picnic area. Other Recreational Activities Fishing, rafting. FMI Park operator: Brandywine Environmental Management Ltd. Stops along Cayoosh Creek between the old bridge and the BC Hydro Seton Dam Campground and Recreation Site; two short forest and creek trails at recreation site. Area/ Trail Length 1.4 km loop. Main Access South of Lillooet on Highway 99, 1-4 km past bridge over Seton River. Facilities Picnic tables, drinking water and outhouses at the picnic area a further 2 km southwest on the Seton River. All services in Lillooet. Other Connections A further 2 km southwest on Highway 99 is the Naxwit (garter snake) picnic area located by the Seton River, with interpretive signage about wildlife and plants. FMI "Canyon to Alpine, Lillooet Hiking Guide" published by the Lillooet Naturalist Society. Two short forest and creek trails at the BC Hydro Seton Dam Campground and Recreation Site. 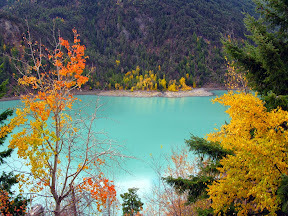 Geographical Description Approximately 5 km southwest of Lillooet along Highway 99. Habitat Riparian habitat with cottonwoods along Cayoosh Creek. Viewing Highlights May-June:Cayoosh Creek is a nesting area for the Harlequin Duck. Main Access Highway 99 south of Lillooet. Pullout at bridge over Bridge River; open grasslands and Ponderosa pine; wildlife and plants associated with semi-arid landscapes . Geographical Description Fraser River canyon and benchlands. Habitat Ponderosa pine/bunchgrass, lake, riparian. Viewing Highlights Harlequin ducks and American Dippers in river. Spectacular views down and across river. Other wildlife may include Mule Deer and California Bighorn Sheep. Facilities Pit toilet at pullout on east side of road. All Services in Lillooet. Other Recreational Activities Canoeing and kayaking on Pavilion, Crown and Turquoise Lakes. A short level walk along the river to spawning channels. Main Access South of Lillooet on Highway 99, 1 km past bridge over Seton River. Other Connections A further 2 km south on Highway 99 is the Naxwit (garter snake) picnic area located by the Seton River, with interpretive signage about wildlife and plants. Open grasslands and Ponderosa Pine; wildlife and plants associated with semi-arid landscapes. Geographical Description The highway winds above the Fraser River with views of the canyon and benchlands. Area/ Trail Length Marble Canyon Provincial Park 355 hectares; 47 km along highway corridor to Marble Canyon from junction of Highways 99 and 12 east of Lillooet. Habitat Ponderosa Pine / Bunchgrass; lake, riparian. 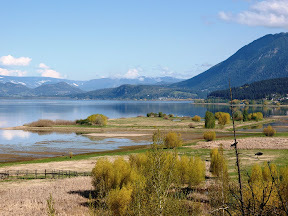 Spring and summer - Western Meadowlark; Chukars along the Fraser River towards Pavilion; Common Nighthawks; Common Poorwills; Flammulated Owl; waterfowl in Pavilion, Crown and Turquoise Lakes. 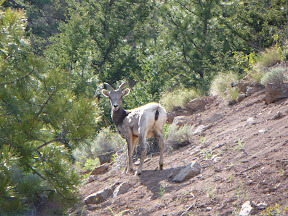 Other Features Other wildlife may include Mule Deer, and California Bighorn Sheep. Cautions Steep, narrow winding road. Use caution when pulling off on the shoulder of the highway. Facilities Camping, pit toilets and picnic tables at Marble Canyon. All Services in Lillooet. The park protects an intact watershed as well as historical, cultural and spiritual values of First Nations peoples. Due to its size and relative lack of disturbance, the park contains populations of many species of wildlife. Geographical Description An ecologically diverse wilderness park. Area/ Trail Length A variety of trip lengths, mostly involving overnight backpacking. 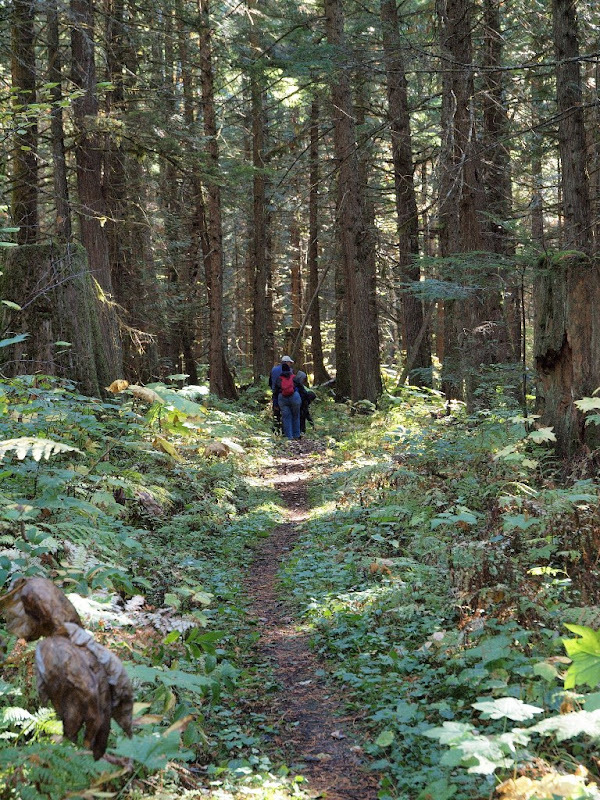 Day hiking is feasible as far as Earl’s Cabin, 10 km from trailhead, or suspension bridge at 13 km. To hike the entire length of the park for Lizzie Lake or Blowdown Pass is up to 80 km and a multi day trip for very experienced backpackers. Bird species include Golden Eagles, Sharp-shinned Hawks, Barred Owls, Pygmy-Owls, White-Tailed Ptarmigan, Pileated Woodpeckers and Rufous Hummingbirds, as well as several species of chickadees, warblers and nuthatches. 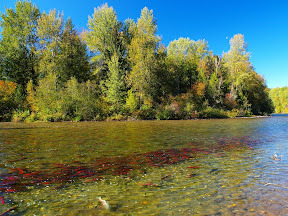 The Stein River contains Dolly Varden char, rainbow trout and Rocky Mountain whitefish, as well as steelhead trout, coho, pink and chinook salmon that return to the river at certain times of the year to spawn. Main Access The main trailhead is located on the west side of the Fraser River by Lytton, accessed by crossing the Lytton Ferry. After disembarking from the ferry, follow the road to the right for 4.8 kilometres to the junction with the Stein Valley Road (marked). Turn left and follow it to the parking lot. Secondary Accesses Rough backpacking access from Blowdown Pass, off Duffey Lake Road, or Lizzie Lake, off In-shuck-ch Forest Service Road near Mount Currie. Cautions This is an unpatrolled wilderness area with no services; you must be self-sufficient and experienced in backcountry travel. Hikers should be prepared for sudden weather changes. 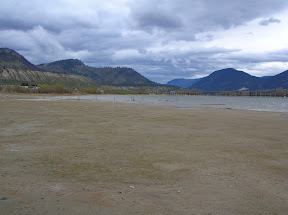 The Lytton ferry is subject to closures in spring and early summer due to high water levels on the Fraser River. The only other access is by a rough gravel road from Lillooet. Jurisdiction BC Parks, co-managed with Lytton First Nation. Regulations A hiking only park; no horses, bicycles or vehicles permitted. Facilities Designated back-country campsites with pit toilets and bear proof food caches. FMI Stein Valley Wilderness Guide Book, by Gordon White, 2007, published by Selcouth Publishing. Alpine meadows with wildflowers and mammals. 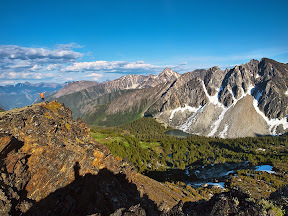 Geographical Description Requires hiking to access; lengthy drive to access trailhead makes this suitable for overnight backpacking, or long day hike from Lillooet. Area/ Trail Length For detailed information refer to Lillooet Naturalist Society "Canyon to Alpine Hiking Guide". Habitat Engelmann Spruce- Subalpine Fir/ Alpine Tundra. Main Access Southwest of Lillooet off Highway 99 (Duffey Lake Road). Drive 24 km from the bridge over the Seton River and turn onto the Downton Forest Service Road . Trailhead is approximately 11 km up this road . For detailed directions along the Forest Service Road refer to the Lillooet Naturalist Society ``Canyon to Alpine Hiking Guide``. Access to the alpine area is via a strenuous full day hike. Cautions This is a moderately strenuous hike in a lightly travelled wildland area; you need to be in good physical condition and be properly equipped with good hiking footwear, rain gear, food and water. Stay on the trails, especially in the meadows which are easily subject to trampling. This is a remote area with no services and no mobile phone signal. Facilities Cottonwood Recreation Site campground at turnoff from Highway 99. All services in Lillooet. 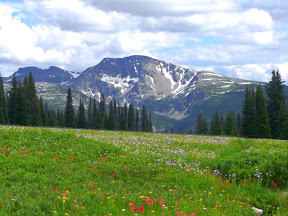 Geographical Description Subalpine lake and meadows, accessed by logging and mining roads to the northwestern boundary of Stein Valley Provincial Park. 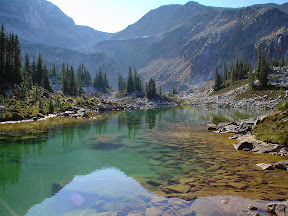 Overnight backpacking or long day hike from Pemberton or Whistler. Other Features Strong hikers or those camping near the lake can scramble to Gott Peak and other peaks and ridges in the area. Main Access Between Pemberton and Lillooet off Highway 99 (Duffey Lake Road). Turn east onto the Blowdown Creek Forest Service Road 52.5 km from the traffic lights in Pemberton or 44.5 km from the bridge over the Seton River in Lillooet. A regular vehicle can drive 9 km up this road to Branch 4 and possibly 1 km further to Branch 6 , but watch for rocky steep sections and waterbars. From Branch 6, the road is rough high clearance 4wd. 4 km further to Blowdown Lake, 5 km to Blowdown Pass at the park boundary. 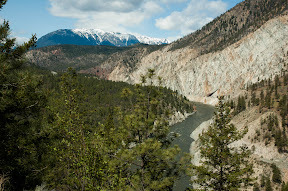 For detailed directions, refer to the Lillooet Naturalist Society "Canyon to Alpine Hiking Guide". Access to the alpine area is via a strenuous full day hike. Jurisdiction Crown land, BC Parks with Lytton First Nation. Regulations In provincial park, no cycling or horses and no camping except in designated sites. Facilities Three Recreation Site campgrounds along Highway 99, none in area. All services in Lillooet and Pemberton. Other Connections An old mining road continues down Cottonwood Creek drainage to the mid and lower Stein Valley; this is a very strenuous and remote backpacking trip. The area around human-made Carpenter Lake has a number of nature viewing opportunities, including mule deer and spawning Kokanee and rainbow trout. 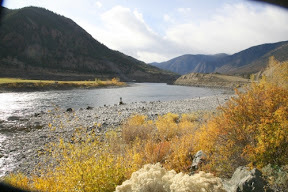 Main Access Travel along the Bridge River Road located north of the community of Lillooet for approximately 31 kilometres. Just before Moha and just after Antoine Creek is Horseshoe Bend and Mission Mountain Road. Continue on Mission Mountain Road to the eastern tip of Carpenter Lake near the Terzaghi Dam. Cautions This is a remote area with few services and no mobile phone service. Use caution near the lake shore, especially above the dam. Water levels vary. Facilities Several lodges recreation campsites in the area. Minimal services in village of Gold Bridge; all services in Lillooet. Other Recreational Activities Hiking, fishing, camping. 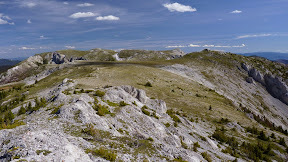 Mid to high elevation ecosystems with rough steep trails; limestone mountains, unusual for central interior of B.C. 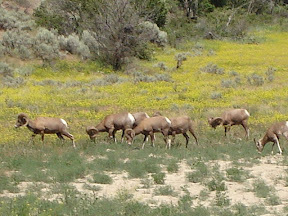 ; opportunities for viewing California Bighorn Sheep. Habitat Old growth Douglas-fir, spruce, lodgepole and whitebark pine, ranging into subalpine parklands and extensive alpine tundra. Cougar and black bear also use this area. Other Features Limestone karst formations (caves, sinkholes, disappearing streams) which are rare in British Columbia. Soils in the area are high in calcium, so they support a number of rare plants. Main Access West of Clinton 16 km on the Kelly Lake Road, then north from Kelly Lake 20-25 km (good gravel road). 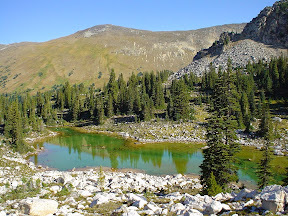 Mount Bowman is a very strenuous hike/scramble but is the most easily accessible trail . 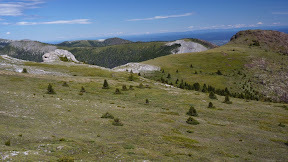 Other trails including Porcupine Ridge, Wild Horse Ridge and Lime Ridge as described in publication below. Secondary Accesses Connections to the north on Jesmond Road with Meadow Lake Road, Dog Creek and Gang Ranch. Very rough and steep roads lead to Big Bar Ferry and then to Lillooet. Cautions This is a wilderness area with many unmarked trails and no facilities. Hiking Marble Range requires an advanced level of experience, and hikers are advised to carry a topographic map, and a compass or GPS unit. No water at higher elevations. No mobile phone service in this area. Facilities None. Overnight accommodations at several ranches in the area. Basic services in Clinton. Other Recreational Activities Horseback riding. Two of a number of small lakes and ponds in the area west of Clinton with opportunities for viewing waterfowl. Habitat Montane Spruce, Interior Douglas Fir, grassland, riparian. Cautions Respect all private property, including gates and fences. This is a remote area with no services . Facilities Primitive campsites at both lakes. Partly serviced campground at Big Bar Lake Provincial Park, 11 km west of Little White Lake. Basic services in Clinton. Other Recreational Activities Fishing, canoeing. A colony of Eared Grebes and other water birds. Habitat Interior Douglas-fir, alkaline lake, wetlands. Viewing Highlights Colony of about 80 Eared Grebes. Main Access 28 km west of Highway 97 on Meadow Lake Road (good gravel road); turnoff 16 km north of Clinton or 15 km south of 70 Mile House. Cautions Grebe colony is sensitive to disturbance during nesting season and boaters must stay well back. Facilities None. Basic services in Clinton and 70 Mile House. Other Connections Waterfowl viewing in other lakes and ponds in area.